Beans are known by many names like French beans, green beans and phalli. 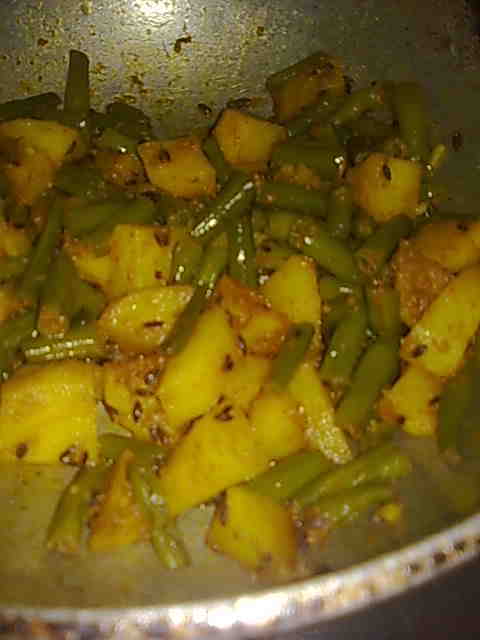 Aloo beans sabzi tastes absolutely delicious. We enjoy it with hot phulka but it can also be eaten with boiled rice. 1. 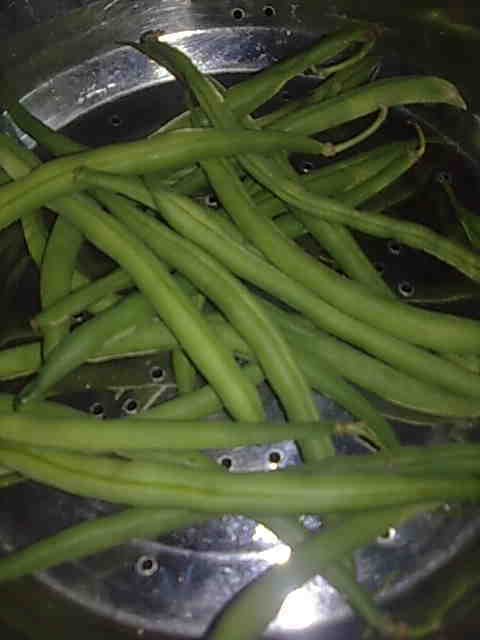 Remove tips and tails of green beans and string them if there is a need. Chop them in 1/2- 1 inch pieces. 2. Heat oil in a pan and add cumin seeds. When they change color, add hing. 3. Add beans and potatoes. Add salt and all the spices except amchoor and garam masala. Mix well. If you cook this subzi on a low heat, you don't need to add any water. Cover with the lid. 4. Stir occasionally and cook till potatoes are tender. You can cook a little further if you want a well roasted sabji. Turn off heat and add amchoor and garam masala. Mix well. Serve hot aloo beans sabzi with roti or rice.